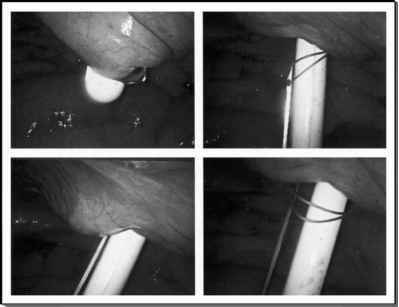 ■ Laparoscopy is a viable alternative to open surgical repair of vesicovaginal fistulas. ■ Advantages of the laparoscopic approach include magnification during the procedure, and shorter hospital stay and postoperative recovery. ■ The fistula is resected under direct visualization and a tension-free reconstruction is performed. ■ Based on limited number of case reports on laparoscopic vesicovaginal fistulas repair, it appears to be a safe and effective approach for fistulas that cannot be repaired vaginally. ■ Undoubtedly, operative laparoscopy will replace most laparotomies in gynecologic surgery, it is only a matter of time.